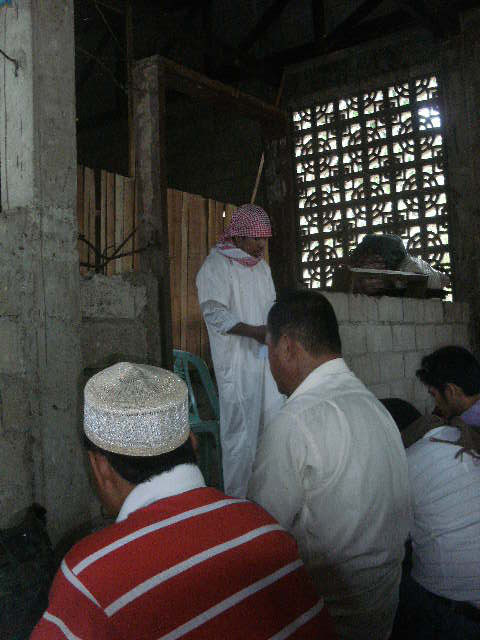 This is the actual footage of the NAMAT SUMMER CLASS on ARABIC LEARNING LANGUAGE held in Bongao, Tawi-Tawi, Philippines. It began on April 18, 2011 and scheduled to end on May 20, 2011. The District Engineer BENSOUD AJIHIL of the DPWH offers the conference Hall for a period of Forty five (45) days during summer time. The School building was negotiated available, however it is empty of materials required for the classroom. There is a need for it to be renovated. The said building is owned by the Director of the Department of Trade and Industry of Tawi. Tawi. The same faculty members indicated for the summer classes will handle and manage the regular classes coming June 2011. The target minimum number of students will be twenty (20). The prospective students studying this coming June will be from the island Municipalities. They have to travel by boat for at least 5 hour trip on the way. ASHURA COMMEMORATION on December 3, 2011 at Rachel Place, Bongaoo, Tawi-Tawi, Philippines.